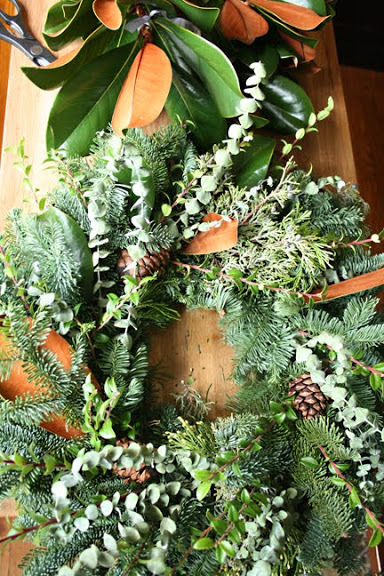 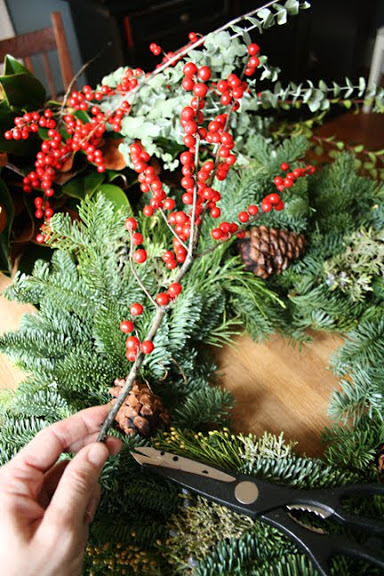 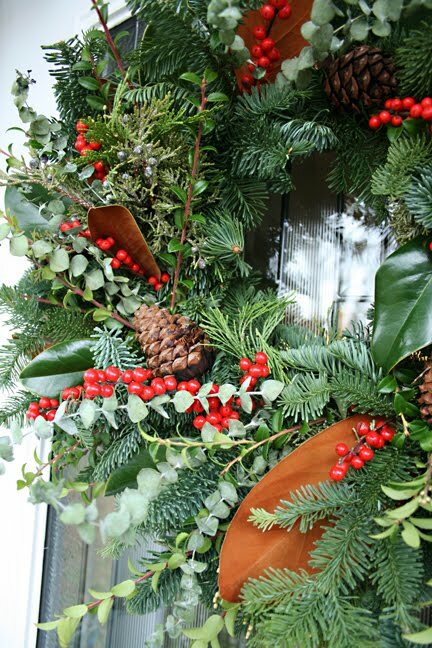 The traditional evergreen wreaths pull the smell of Christmas into your home every time the door opens and closes. They are elegant, yet brings the natural look. 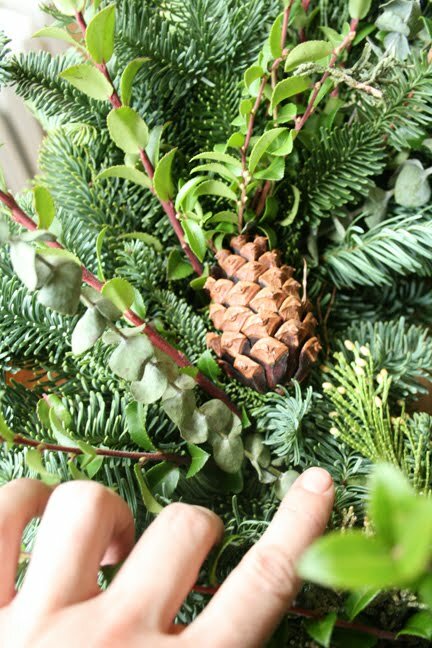 And you can do some really fun winter projects with them with other greenery. 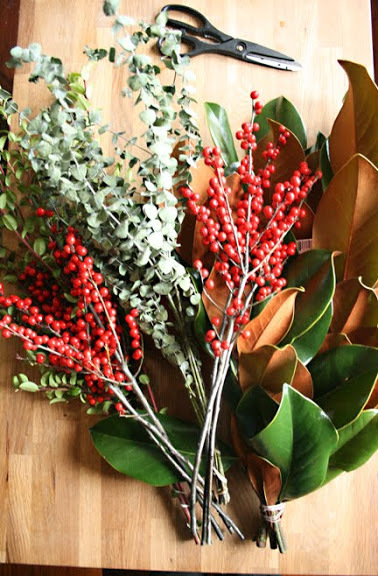 I picked up our evergreen wreath at the local market along with magnolia leaves, eucalyptus leaves and red berries to add to its beauty. 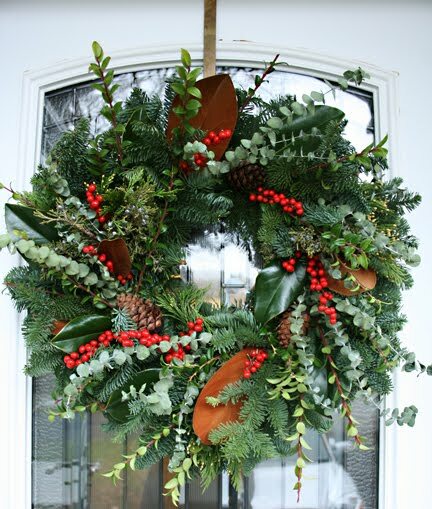 glad you were able to get your wreath!